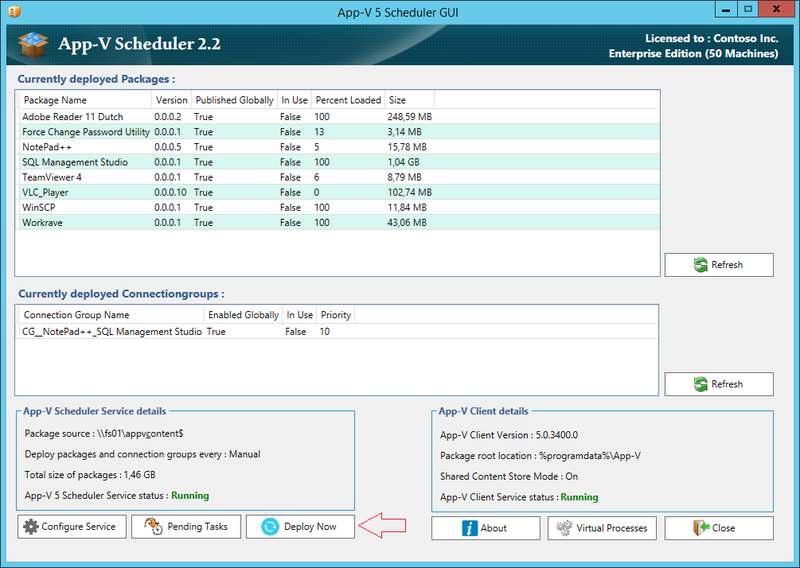 Very excited to announce the latest release of App-V Scheduler, version 2.6! This release contains a lot of new features and improvements based on customer feedback. 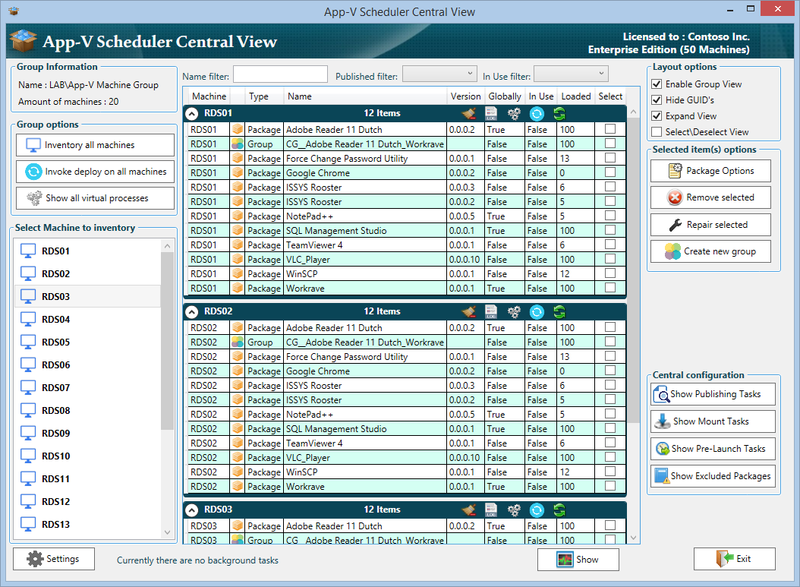 App-V Scheduler, started in 2014, has a large install base at customers ranging from small to large Enterprises. App-V Scheduler is a proven application life cycle management solution for Government, Finance and Healthcare organisations. 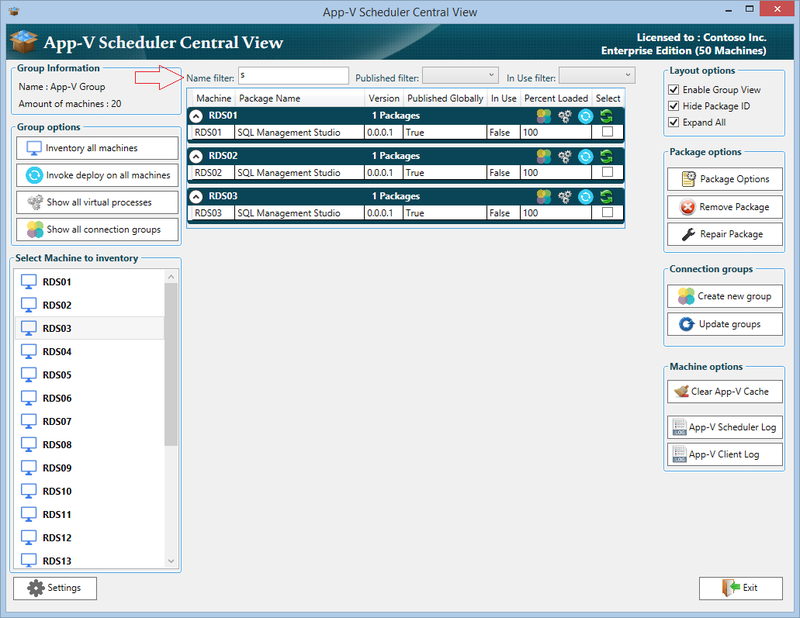 Since the App-V client is embedded in the operating system we have seen a fast growth in the adoption of the App-V Scheduler solution. We also see a very high success rate in the deployment of applications with App-V 5, this is also due to the simplified architecture of the App-V client, basically the client consists of a couple of filter drivers that redirects reads and writes making the application run isolated and portable. It’s easy to adopt and learn how this technology works and because it’s already part of the operating system it’s very easy to enable and use! 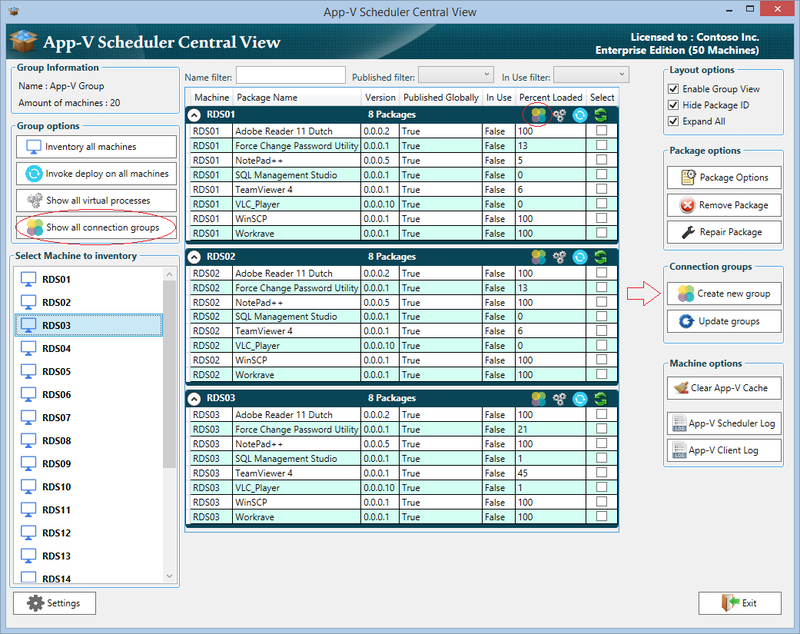 Please click here for more print screens and here for the full App-V Scheduler 2.6 release blog about all the new features! As you might know Windows 10 includes an application platform called the Universal Windows Platform (UWP), UWP applications run inside a container and as the term universal implies the goal is to make them run on every Windows platform\device available and to distribute them by using the Windows Store. UWP also comes with a set of API’s to integrate with functionality like live tiles. The file format used by UWP is APPX and software vendors can adopt this format directly or convert their applications to the APPX format by making use of the Desktop Bridge conversion tool. Sounds clear right? For consumer applications it does but the reality is that there are a huge amount of traditional applications out there and they all have their own unique configuration and requirements. With configuration I mean integrations with the OS, integrations with Office, their own update mechanisms, etc. 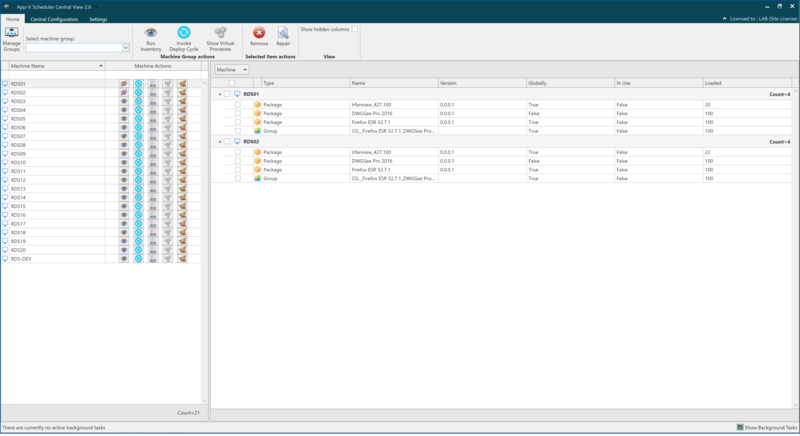 They often release their software by using MSI files to modify this properties. While software vendors often develop against the latest frameworks they don’t necessarily have UWP and Windows Store integration high on their list. For a lot of vendors this will not change any time soon and luckily Microsoft is aware of that. That’s why they came up with a new application format called MSIX. MSIX is the successor of the APPX format and the MSI format, MSIX will close the gap between traditional applications and UWP applications by making them both part of the same platform. Clever idea, because when software vendors are leveraging the latest frameworks but don’t use the UWP integrations that doesn’t make them legacy or obsolete. Far from that, they are often the most sophisticated applications with years of development inside. 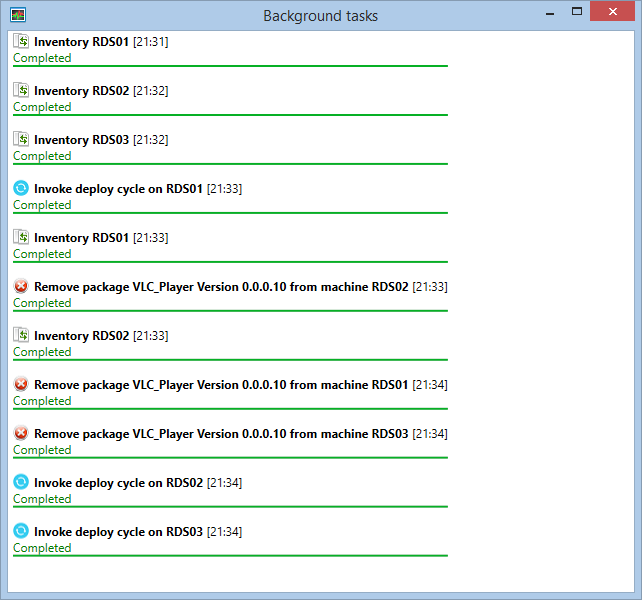 So at the end they are all Windows applications and now fall under one umbrella called the MSIX platform. Traditional applications are often installed by using MSI files provided by the software vendor, this file format contains the application files and installation properties. This properties can be modified depending on specific needs. 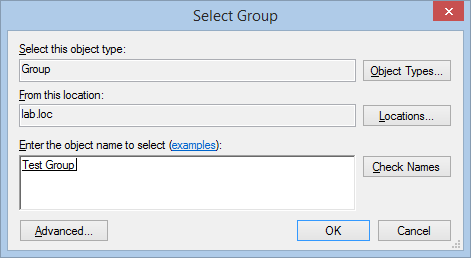 While MSIX is different, it has some of the same characteristics as MSI like a method to do customizations. Customizations are separated in a different layer. This makes updates easier. 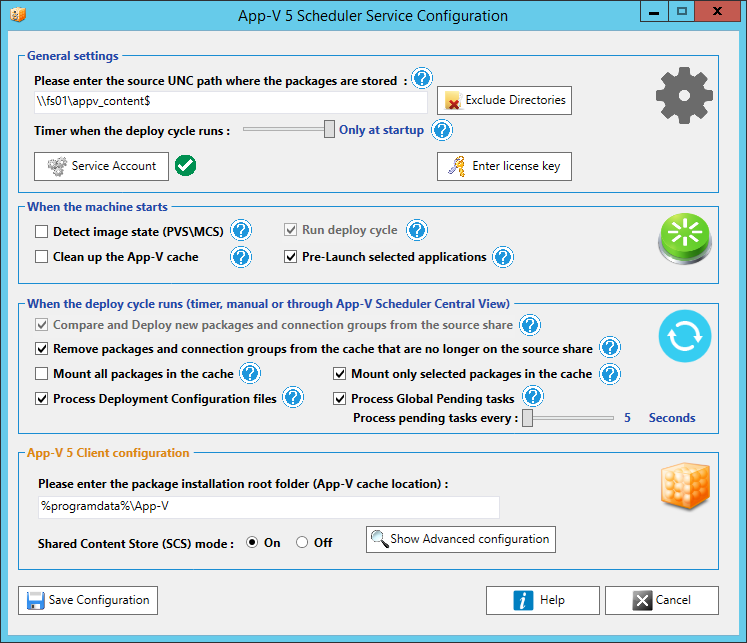 When you are using App-V 5 to deploy and manage traditional applications you are already ahead of the game, there are even similarities in the way the applications are running in their own sandbox. A smooth transition from the APPV format to MSIX will be very easy. 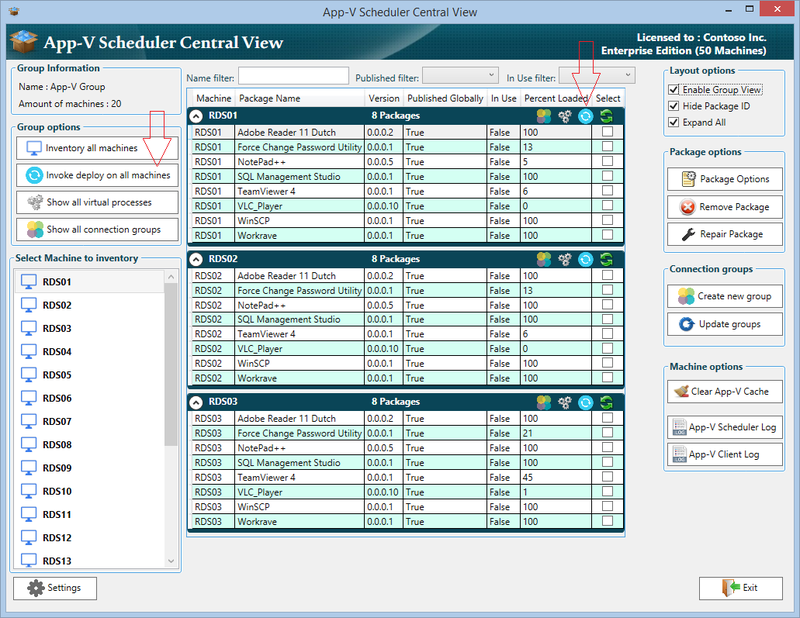 We are also looking to integrate the MSIX format in a future release of App-V Scheduler to accommodate a real-time delivery and management solution for both App-V and MSIX for both RDS and physical deployments. 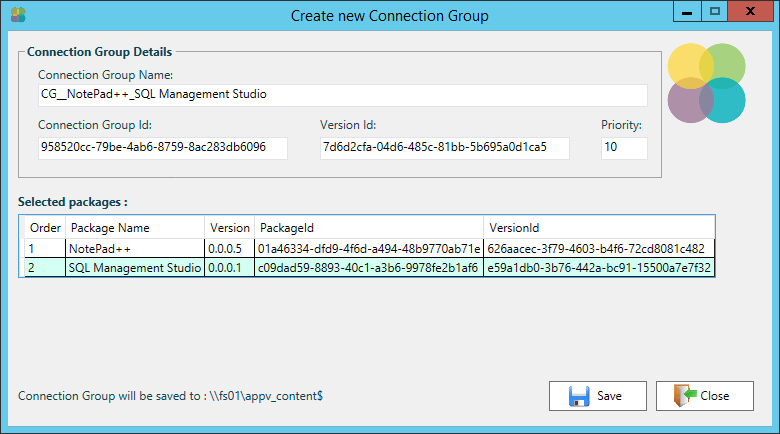 Extended App-V 5 integration in RES Workspace Manager 2014 SR2, how does it work? 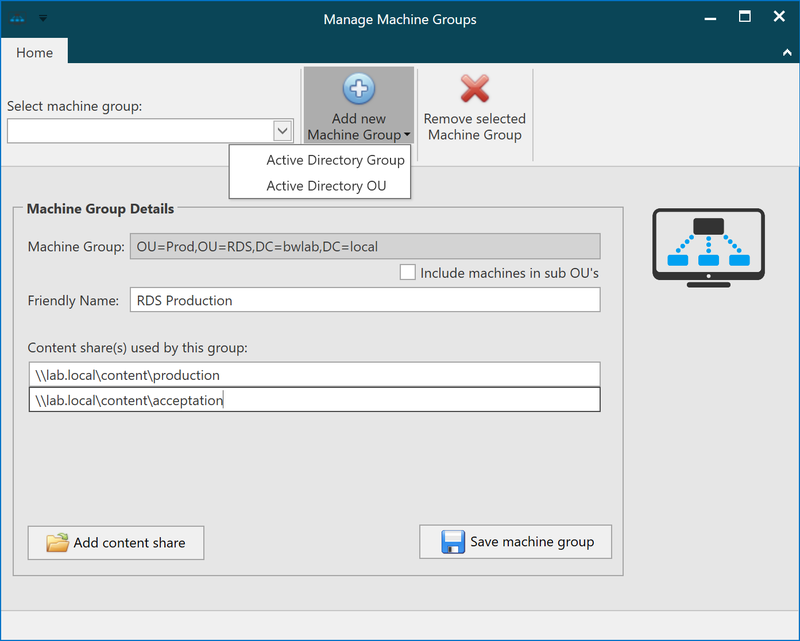 With the release of Workspace Manager 2014 SR2 (WM from now on), RES has extended the App-V 5 integration making it possible to automatically Add and Publish a package inside the user context. WM does this with evaluated permissions since the user doesn’t have the permissions to add App-V 5 package itself, the add and publish is executed when the user clicks on the application for the first time making it a Just in Time (JIT) deployment method. I have been involved in the pre-stage of this feature and would like to discuss how it works and how it differentiates from App-V Scheduler. Package delivery mode allows you to select 3 available options : None, Minimal and Full (both user publishing and global publishing can be selected). 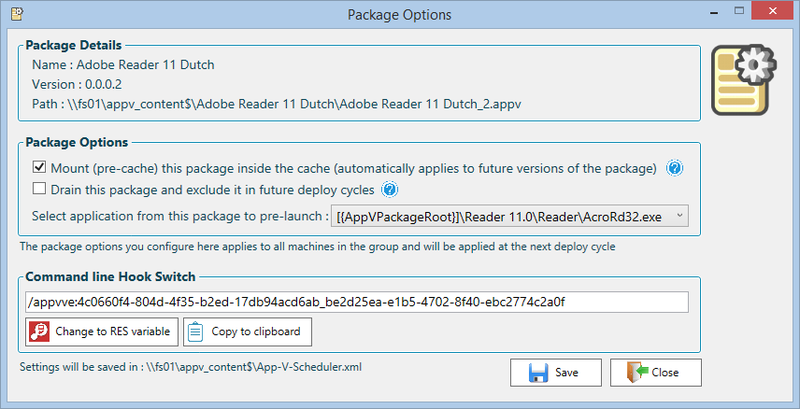 When you select None, WM will not add and publish the package and you can use another delivery method like App-V Scheduler or the App-V native infrastructure for example to take care of the deployment. 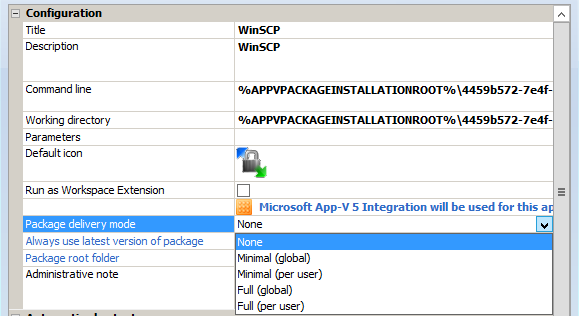 This option still makes use of the App-V 5 integration options in WM like the version variable (to detect the latest package version) and inject\capture user settings. WM will add the package without using the mount option, so the package will be streamed just like how it’s configured during sequencing. When you select Full, the exact same process happens as with the minimal option, but the difference is the package gets 100% loaded (mounted in the background) when the application is launched. This update process also happens in the user context when the user clicks on the application. In my opinion global publishing makes more sense in combination with UEM tools, because then you can manage the application the same way as they where installed natively (access and control etc) and you don’t have to publish the package for every user making it faster and less entries in the user registry. 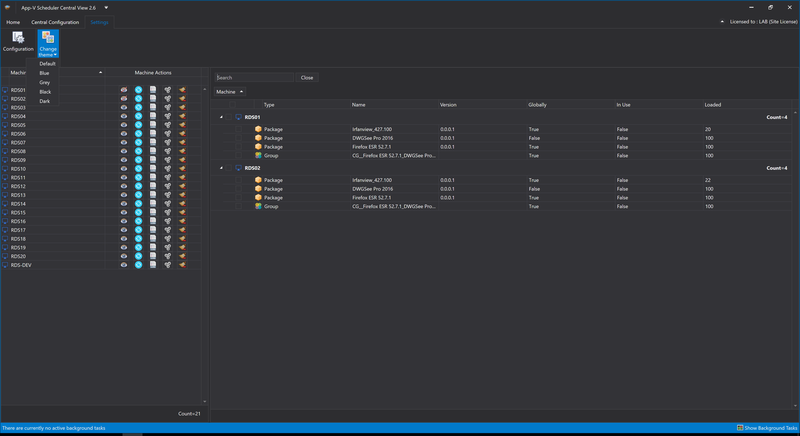 I don’t know any UEM products that has such deep integration with App-V 5 as RES Workspace Manager, RES was one of the first to integrate with App-V 5 and with the extended integration in SR2 there is now also a very easy way to (optionally) add and publish a package. But one can ask itself if the user context is the right level to deploy the packages for their environment as it can take a while for the application to become available and it can cause numerous messages to your users that just want to launch the application as quickly as possible. Also it can be difficult to make use of new extension points in App-V 5 (like shell extensions and browser plugins) because the package isn’t deployed initially before it’s started for the first time. Just like App-V Scheduler, this new WM feature reduces complexity (less scripting etc) and more granular control compared to other deployment options, but depending on your scenario keep above points in mind when deploying and managing App-V 5 applications.